There’s no denying it, flannel shirts are a staple item of a mountain biker’s wardrobe. Some might say they are our uniform, or even a shirt of honour, worn to let others know that we’re outdoorsy. Fashion-proof in the sense that they are (and always will be) a perfectly acceptable item to wear for almost any occasion, and an investment for the fact they are so versatile. What other piece of clothing could you wear on the trails one day and on a date the next? 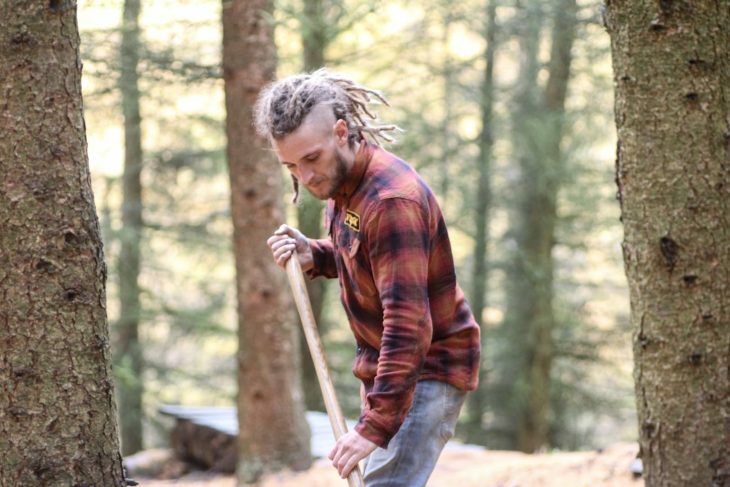 These days, flannel shirts are more than just a shirt made from checked material. There’s windstopper, water resistant, fleece lined, tech, even reflective shirts. 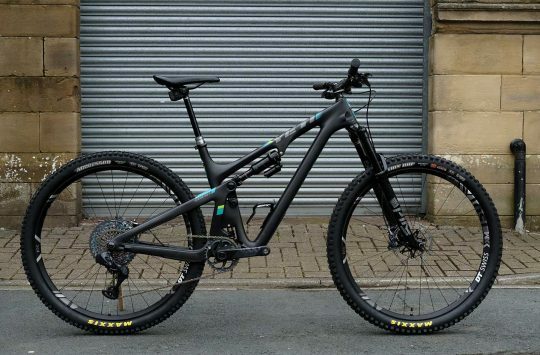 So why not update yours or a loved one’s wardrobe with some mountain bike specific wares. This strong look is brought to us by Alpinestars. 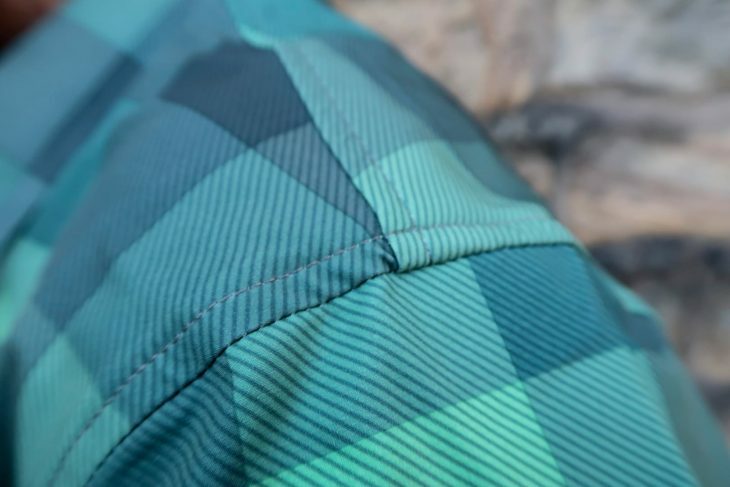 A bold colour scheme with a generous amount of features to make you feel like a trail god, constructed from a cotton and polyester flannel with a soft touch finish. The shirt has a windproof inner layer on the chest and shoulders, and is tailored for riding due to the curved sleeve cut. That’s meant to be holding a torch. Who is this guy? There’s a spotlight hanger, or in our model’s case the axe hook, and the elbows are finished with some anti abrasion printing for durability. To the rear there’s a decent sized zip pocket with water-resistant lining, and something that might seem a small detail but is in fact a huge selling point is the poppers on the cuffs. Instead of a button fastening, a simple popper is much easier to do up, especially with cold hands or riding gloves on. 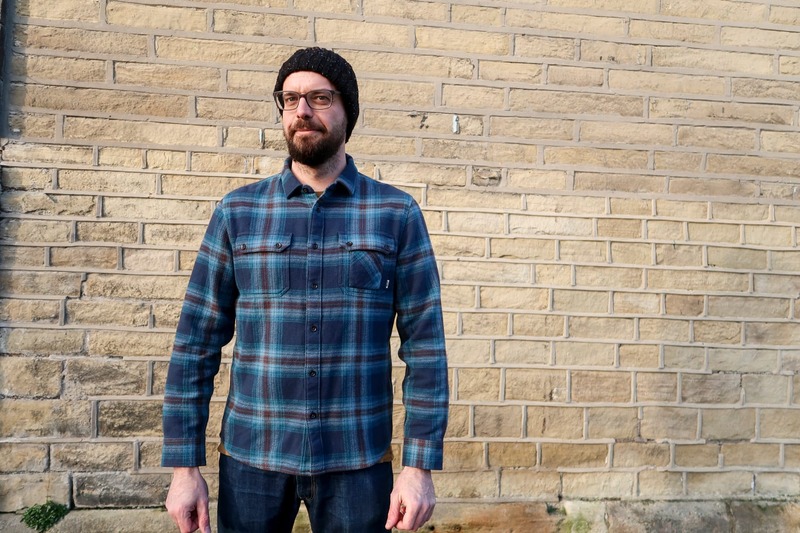 This modest flannel is one of many options from Fox. Subtle colours and a relaxed fit, this cotton shirt is great for riding so long as it’s not raining. Out of all the shirts featured in this gift guide, the Fox Traildust is the one our model found most comfortable when riding due to the oversized fit. The look of despair that comes from losing your favourite shovel. 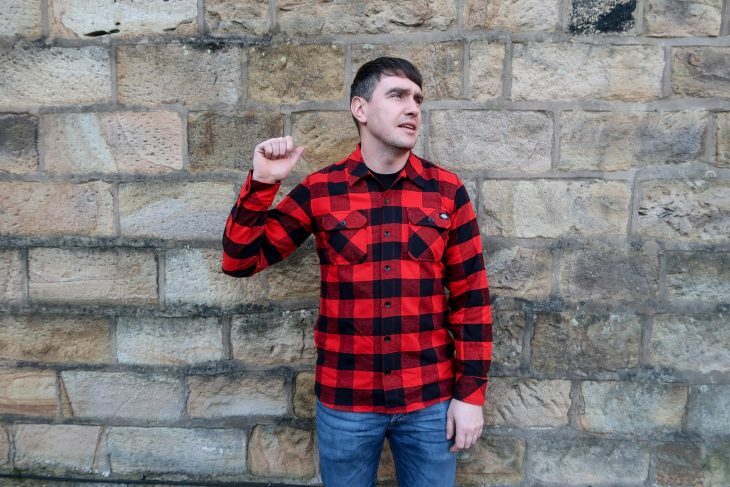 Another one from Fox, the Gorman Overshirt is at the top end of the flannel shirt budget. With a lightweight thermal liner, you can feel the added protection from the cold. Available in Navy and Bordeaux (pictured), both come with heavy Fox branding on the chest with a big logo patch, and a heat transferred logo on the collar too. Axe throwing? He really is in a mood. This shirt is a great fit, just baggy enough to comfortably fit pads or body armour under, and the fabric is extremely durable. Over winter our trail building model has been living in this shirt, and it comes out of the wash good as new each time. 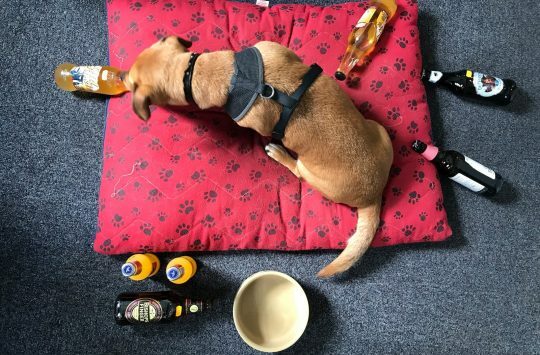 Endura has delivered us the answer to a problem we all hope to have. Sudden bike rides! The unplanned, ride-in-what-you’re-wearing kind of ride. The Hummvee Shacket is a reversible flannel shirt/jacket. 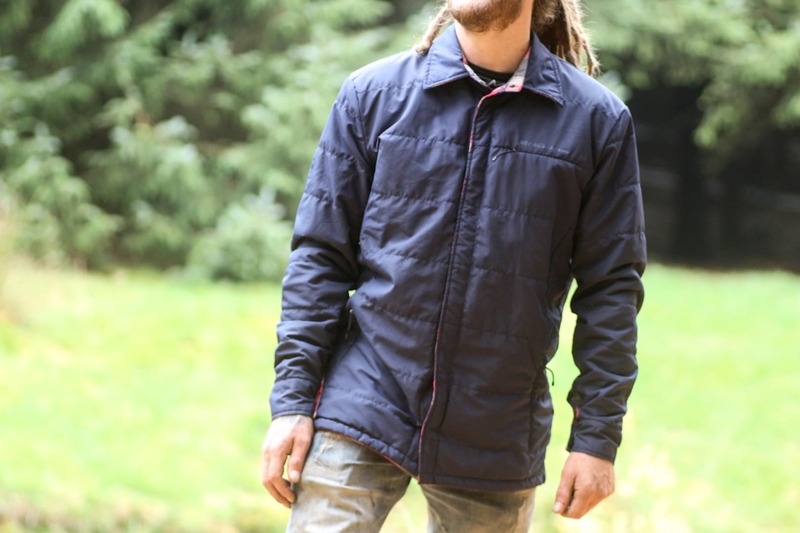 The jacket side offers windproof protection, easy popper closure, and some secret pockets on the chest and hip. 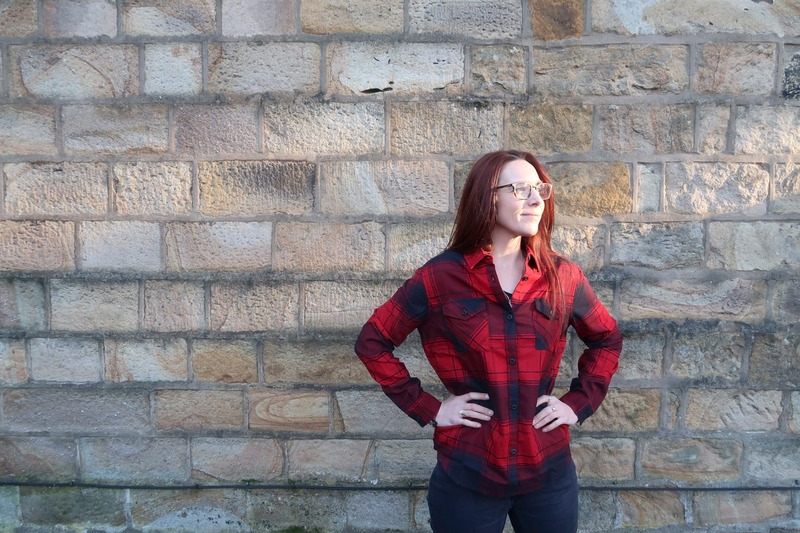 The flannel shirt side is perfect for casual wear, and you can head out for the day confident in the knowledge that you have a jacket with you. 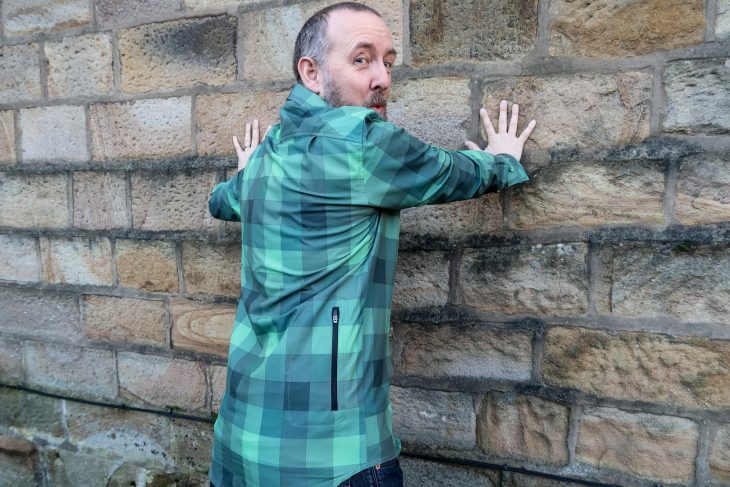 The fit of this shacket is very flattering, it’s broad enough at the top to be comfortable during a ride, but fitted enough to look smart afterwards. 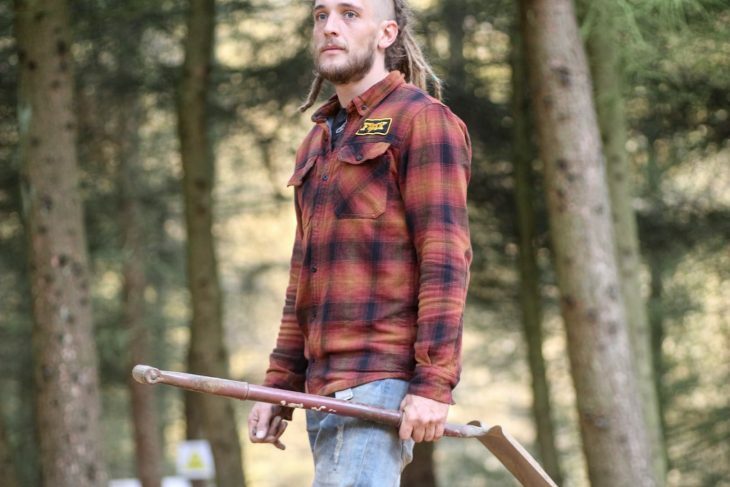 Ross isn’t allowed an axe, so he’s pretending. There are twelve colour options for this shirt. TWELVE! Made from 100% cotton and cut in a regular fit, this shirt is suitable for riding, trail building, or just as casual wear. It’s very soft to touch, has two generous chest pockets, and features a small Dickies logo on the chest. James doesn’t need an axe, he chops wood with his bare hands. If you want a shirt that oozes quality, and makes you look and feel like a cuddley lumberjack, this is the one for you. 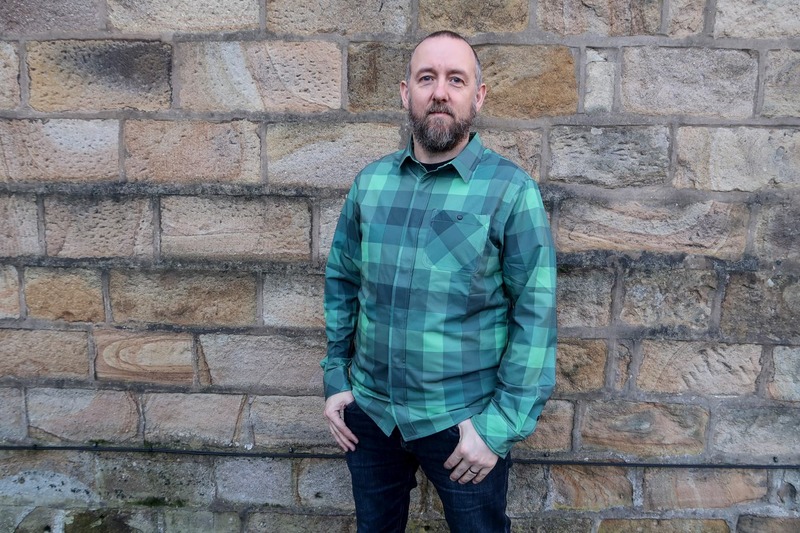 Made with a heavyweight flannel material and pre-washed for added softness, this shirt feels very thick and warm with a super soft finish. 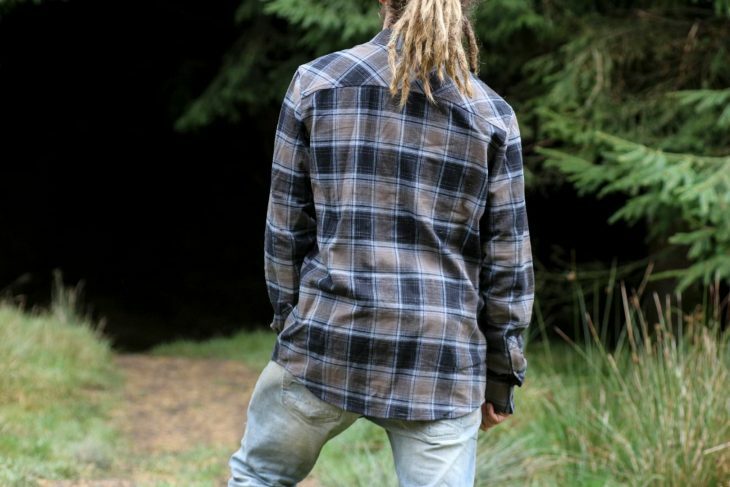 Although it doesn’t offer any tech features like a fleece lining, water resistant finish or even a drop hem at the back, it would be a great over shirt for after a ride to keep you warm. 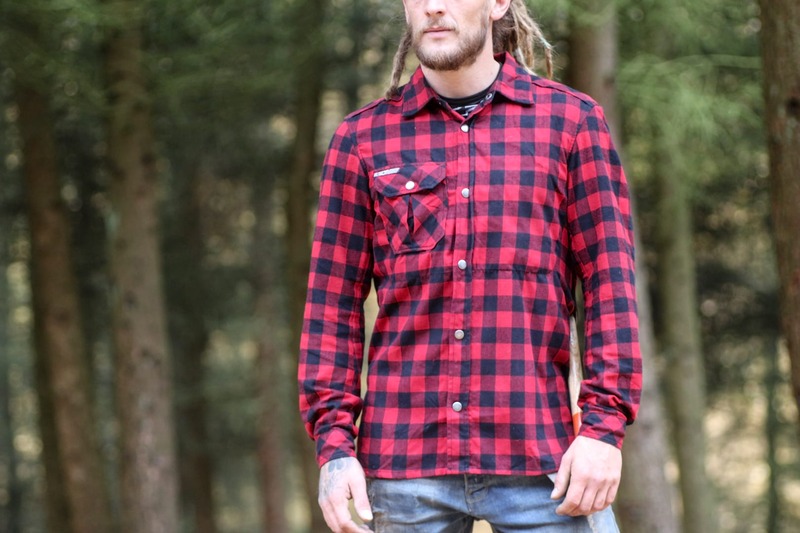 Troy Lee is offering a high tech flannel shirt option. 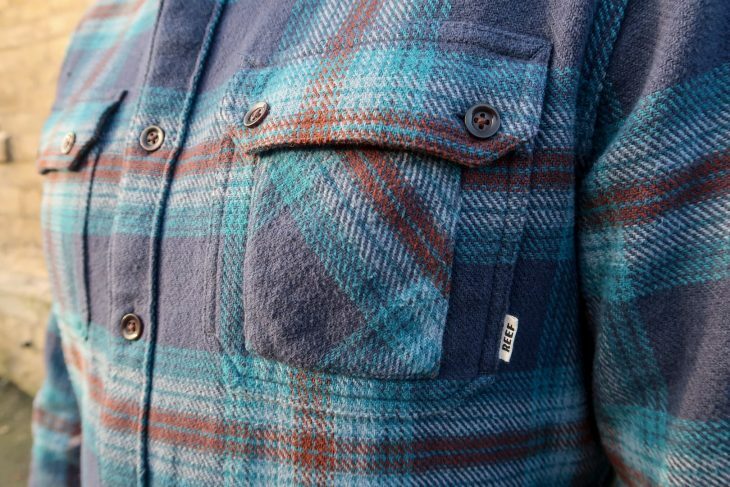 This is effectively a long sleeved jersey disguised as a flannel shirt, with press stud closure down the front with a good overlap to keep the breeze out. Light rain and tyre splashback proof. The water resistant stretchy fabric is constructed of nylon and spandex for ultimate comfort on the bike. It feels like a very breathable alternative to some waterproof or water resistant jerseys. No I WON’T get something out of your pocket, Mark. There’s a good sized rear pocket and a button closed chest pocket too. Available in three colour options and is available exclusively from Saddleback, you can’t buy this in stores. Match your clothing to your hair. 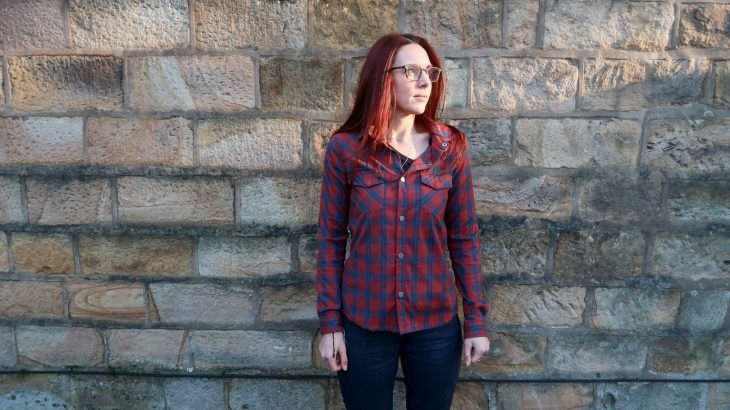 The Woodsmoke shirt from Alpkit is our first women’s specific shirt. The high-wicking, quick drying, odour resistant fabric is perfectly suited to almost any outdoor activities and the poppers make it easy to throw on in a hurry. It is worth mentioning that Amanda has had this shirt for several months and tends to have it on her person at all times. It’s great to throw on as an extra layer, it’s a good riding shirt, and it’s very comfortable to sleep in when camping. Match ALL of your clothing to your hair. 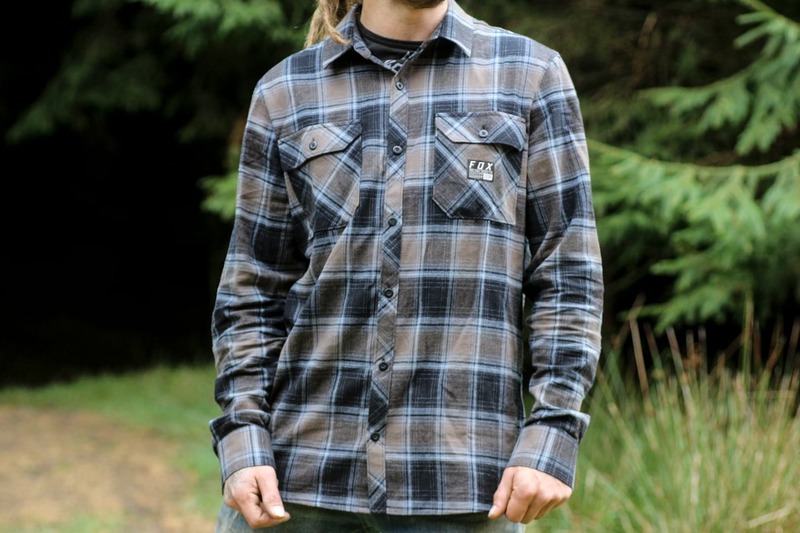 Finally we have the Noella shirt from Dakine. Made with a stretch yarn with odour control technology, it’s soft and warm with just enough stretch and water repellency to do more than just look good. 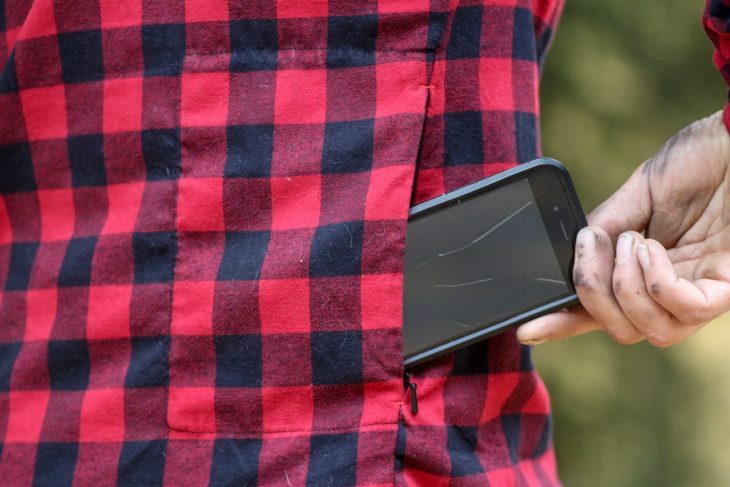 The shirt features two front pockets, rubber buttons and a hanger at the back. The sizing is quite generous on this shirt, so if you want a more flattering/fitted look you might want to consider sizing down. So now you’re all kitted out, you might want to get yourself some trail tools and do some digging? 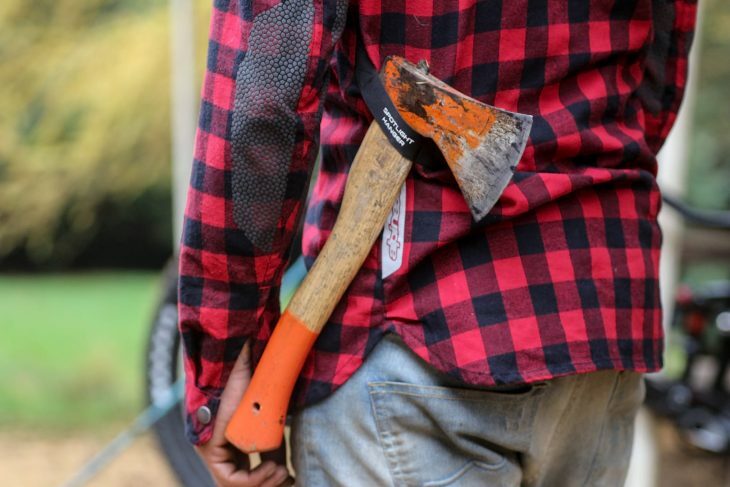 ‘If You Don’t Own A Flannel Shirt, Are You Really A Mountain Biker?’- Yes. Just gone back to some late 2017 Fresh Goods and general posts and it would appear back then most of the time you lot weren’t mountain bikers by your criteria. I’m holding out for something bespoke from HebFlaShiCo. 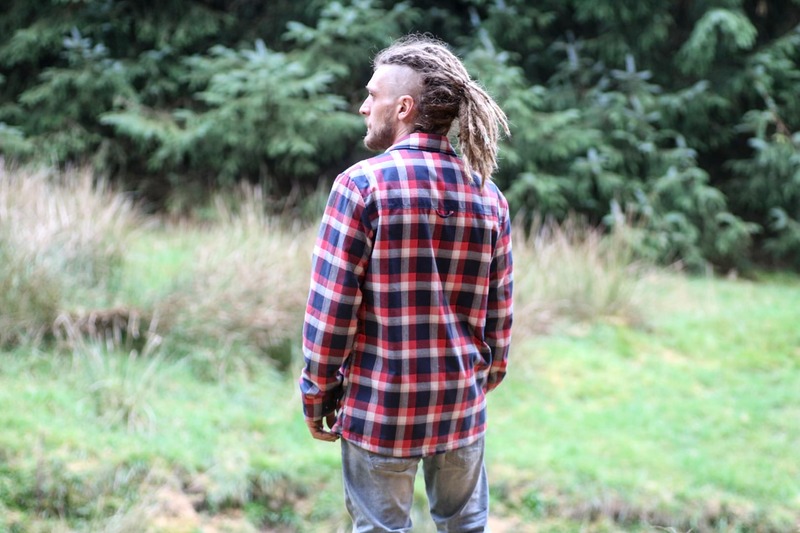 My old Scott Roarban weird fabric plaid shirt is still one of my favourites. 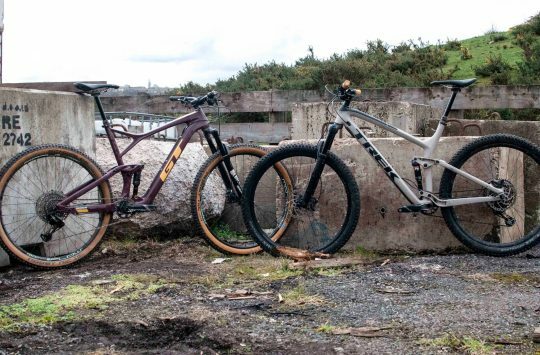 I wonder if that Troy Lee is as good? I’m not really interested in actual cotton flannel for riding in. 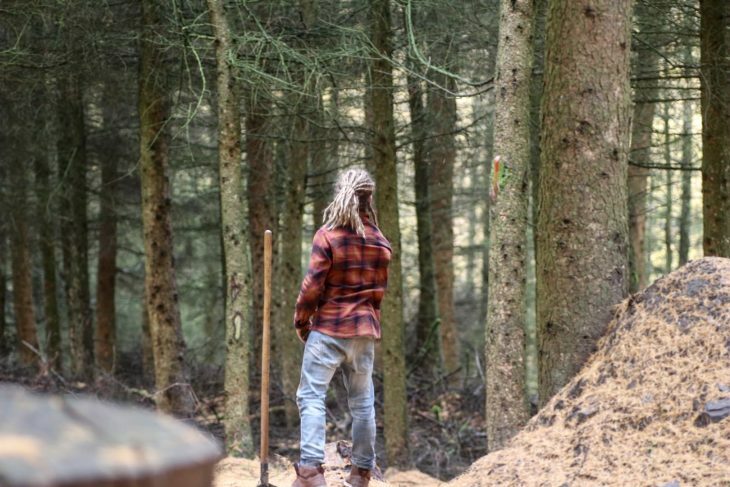 A mountain biker’s wardrobe perhaps, but not this mountain biker’s wardrobe. Didn’t realise there were fashion rules I was supposed to be following…. Is it april’s fool already?